The Canadian Scottish Regiment (Princess Mary's) is a distinguished infantry regiment dating its roots back to the early 1900's. The regiment bears 42 battle honours, some close to a century old. The unit is proud of its heritage and traditions and of its four members who have received the Victoria Cross (VC), the highest military decoration for bravery and courage. The Regiment is located in Victoria, Nanaimo, and Courtenay, British Columbia. The regimental headquarters being at the Bay Street Armoury in Victoria. The Armoury is a National Historic Site that was officially completed on 30 November 1915. The Regiment is part of the 39 Canadian Brigade Group. One of four infantry regiments in B.C., the Canadian Scottish is the largest regiment in Western Canada and it continues to evolve operationally. Can now be found online at the following link. The items are physically found at the Canex location at CFB Esquimalt. 6th - WA Monthly Meeting WO and Sgt's Mess 1900 hrs. The Canadian Scottish Regiment is currently recruiting for both non- commissioned (troops) and commissioned (officers) members. To join as an officer you must have a university degree or be enroled in and be attending a degree program at an accredited university. 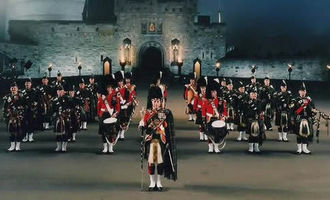 Located in Victoria, British Columbia, Canada, the Canadian Scottish Regiment Pipes and Drums is an authorized band of the Canadian Forces with a long and distinguished military history dating back to before the First World War.